How can we help you? Pat is ready to assist you with all your design and drafting necessities. Check out the galleries below for a few samples of the different types of services that we provide! See your commercial and residential projects coming alive with professional renderings, allowing you to see how your final project looks before it's built! You can also use these renderings in your advertisements, brochures, websites, etc. Or continue below for more! Preview, document and follow the different stages of the construction using the multiple views and tools (elevations, cross sections, top views, etc). You'll be able to try different materials, styles and options on your project, allowing you to visualize and customize your design as well as save money by detecting the project's issues before the real construction begins. Bring your ideas to life and analyze the design and layout of your apartment, house, or even individual rooms. We provide 3D images and virtual tours of your project, enabling you to customize your project, materials, colors, or constructive elements, as well as detect design interferences. We will draft the plans and documents for construction, design projects as well as permits. We offer 2D and 3D drafting services for homeowners and professionals: floor plans, elevations, cross sections, as well as framing and constructive details. All our services are professionally developed and include Pat's personal assistance to install the files and/or to start the file operation. Visualize and compare how your house will look before starting the project! 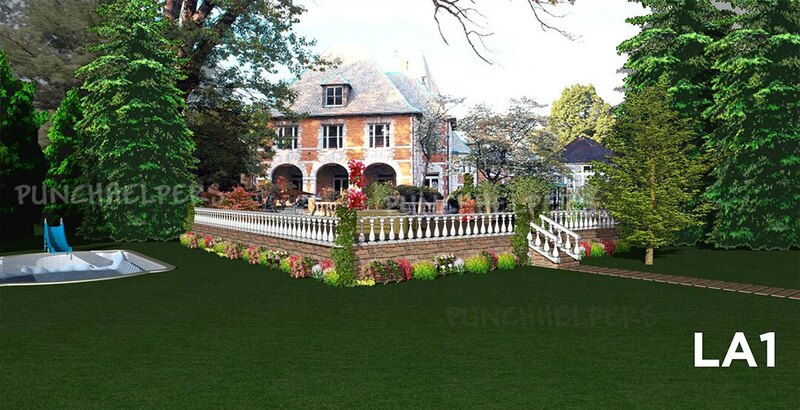 With one picture of an existing property, we can build on it using Punch. Drag the slider to see how the house looked originally, and after, with the renovations! Add landscaping to an existing house using a picture. Visualize how landscaping and additions to your home will look like. It is not uncommon that you finish your design, but the roof doesn't fit, the topography doesn't look accurate, or the levels look wrong. Or perhaps, something is not looking as you imagined, but you don't know how to fix these issues. Don't worry, we can fix your file using the same program and version that you use. Training Services: we offer one-on-one training services independently of your location, using Skype. The sessions can be for learning the entire program, by subject, by project, or let us know your design necessities. No job is too big or too small for us! No matter where you are located, let us know what you need help with, and we'll assist you right away! About Our Fees: our services are usually inexpensive. As each project is different from the other, we calculate our fees on a case-by-case basis. Contact Pat using the button below to send your files, sketches, pictures, or design necessities. Patricia will answer on the same day sending you a proposal, with several alternatives to choose, so you can select among the different options and fees.